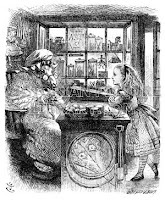 In Lewis Carroll’s Through the Looking Glass, Alice and the White Queen advance into the chessboard's fifth rank by crossing over a brook together, but at the very moment of the crossing, the Queen transforms into a talking sheep. Alice soon finds herself struggling to handle the oars of a small rowboat, where the Sheep annoys her with nonsensical shouting. Now consider the NRC’s Nov. 9, 2012 followup inspection report* at Palisades related to the DC panel event and the Service Water pump coupling failure. It brings to mind a similar picture - in this case inspectors struggling to propel a small rowboat of substance on a river of nonsensical jargon and bureaucratese. Reading this inspection report (IR) reveals endless repetition of process details and findings of other reports, and astonishingly little substance or basis for the inspectors' current findings and conclusions. The IR “assesses” the findings of the Palisades root cause analysis and associated extent of condition and corrective actions. The discussion is deeply ingrained with yellow findings, white findings, crosscutting this and cornerstone that, a liberal dose of safety culture traits and lots of significance determinations. Frankly it’s hard to even remember what started the whole thing. Perhaps of most interest, the IR notes that much of the Palisades management team was replaced in the period since these two events. (p. 23) Why? Were they deemed incompetent? Unwilling to implement appropriate risk and safety priorities? Or just sacrificial lambs? (more sheep). It appears that these changes carried significant weight with the NRC inspectors although it is not specifically stated. Which is it? The site was actively working with Entergy or Entergy was stifling progress in filling positions? Without further amplification or justification the IR delivers its conclusion: “The inspection team concluded the safety culture was adequate and improving.” (p. 24, emphasis added) There is no discussion of how or on what basis the inspectors reached this conclusion. In particular the finding of “improving” is hard to understand as it does not appear that this inspection team had previously assessed the safety culture at the site. At one point the IR stumbles into a revealing and substantive issue that could provide significant insight into the problems at Palisades. It describes another event at the plant with a lot of similarities to the DC panel. Still good but starting to wonder if the Palisades supervisors and managers really got the lessons learned from September 2011. Whoops. First, what is the relevance of the outcome of the May 2012 event? Why is it being alluded to as a cause? Are the inspectors saying that if in September 2011 the Palisades personnel took exactly the actions they took but had the good fortune not to let the breaker stab slip it would not be a significant safety event? It is hard to see how the May 2012 event didn’t exhibit these same causes. In addition, the “Why Staircase” in the Palisades root cause analysis (p. 21) does not identify or allude to the extent of involvement of multiple organizations - at all. While we do not believe that such linear, “why” thinking is adequate for a complex system, it is the basis for what Palisades found and what the NRC inspectors accepted. We’re not really sure what to make of this inspection effort. On its face it doesn’t provide much of a basis for its conclusion that the safety culture is adequate and improving. Perhaps the real basis is the new management team? Or perhaps the NRC doesn’t really have many options in this situation. If the current inspection found the weaknesses not to have been resolved, what could the NRC do? Is there such a thing as an “inadequate” safety culture? Or just safety culture that need improvement? 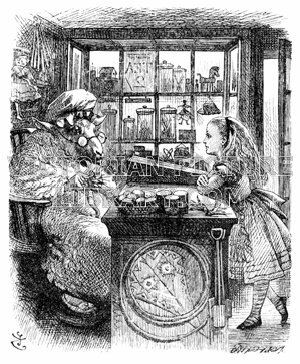 It seems the NRC’s safety culture construct has created a Looking Glass-like inversion of reality - maybe a convenient trope within the agency but increasingly a baffling and unsatisfying distraction to achieving competent nuclear safety management. Bottom line: The NRC close out inspection is a baaaad report. * S. West (NRC) to A. Vitale (Entergy), “Palisades Nuclear Plant - NRC Supplemental Inspection Report 05000255/2012011; and Assessment Follow-up Letter” (Nov. 9, 2012) ADAMS ML12314A304. The same protocol was used for each of the assessments: DOE's Health, Safety and Security organization formed a team of its own assessors and two outside experts from the Human Performance Analysis Corporation (HPA). Multiple data collection tools, including functional analysis, semi-structured focus group and individual interviews, observations and behavioral anchored rating scales, were used to assess organizational behaviors. The external experts also conducted a SC survey at each site. So, do Vit Plant SC concerns exist elsewhere? That's up to the reader to determine. The DOE submittal contained no meta-analysis of the five assessments, and no comparison to Vit Plant concerns. As far as I can tell, the individual assessments made no attempt to focus on whether or not Vit Plant concerns existed at the reviewed facilities. However, my back-of-the-envelope analysis (no statistics, lots of inference) of the reports suggests there are some Vit Plant issues that exist elsewhere but not to the degree that riled the DNFSB when it looked at the Vit Plant. I made no effort to distinguish between issues mentioned by federal versus contractor employees, or by different contractors. Following are the major Vit Plant concerns, distilled from the June 2011 DNFSB letter, and their significance at other facilities. This is the most widespread and frequently mentioned concern. It appears to be a significant issue at the UPF where the experts say “the project is being driven . . . by a production mentality.” Excessive focus on financial incentives was also raised at UPF. Some Los Alamos interviewees reported schedule pressure. So did some folks at Idaho but others said safety was not compromised to make schedule; financial incentives were also mentioned there. At EM, there were fewer comments on schedule pressure and at Pantex, interviewees opined that management shielded employees from pressure and tried to balance the message that both safety and production are important. The atmosphere is cool at some other facilities, but it's hard to say the temperature is actually chilly. There were some examples of perceived retaliation at Los Alamos and Pantex. (Two Pantex employees reported retaliation for raising a safety concern; that's why Pantex, which was not on the original list of facilities for SC evaluation, was included.) Fear of retaliation, but not actual examples, was reported at UPF and EM. Fear of retaliation was also reported at Pantex. This is a minor issue. There were some negative perceptions of the differing professional opinion (DPO) process at Los Alamos. Some interviewees thought the DPO process at EM could be better utilized. The experts said DPO needed to be better promoted at Pantex. Another minor issue. The experts said the procedures at Los Alamos should be reevaluated and enforced. I did not read every word of this 155 page report but it appears some facilities have issues akin to those identified at the Vit Plant but their scope and/or intensity generally appear to be less. The DOE submittal is technically responsive to the DNFSB commitment but is not useful without further analysis. The submittal evidences more foot dragging by DOE to cover up the likely fact that the Vit Plant's SC problems are more significant than other facilities' and buy time to attempt to correct those problems. 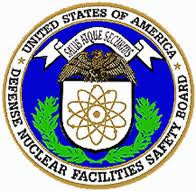 * Defense Nuclear Facilities Safety Board, Recommendation 2011-1 to the Secretary of Energy "Safety Culture at the Waste Treatment and Immobilization Plant" (Jun 9, 2011). We have posted on the DOE-DNFS imbroglio here, here and here. ** G.S. Podansky (DOE) to P.S. Winokur (DNFSB), letter transmitting five independent safety culture assessments (Dec. 12, 2012). The U.S. attorney in charge of the case is basing criminal indictments on a conspiracy that he believes “certainly went beyond Upper Big Branch.” In other words the government is working its way up the food chain at Massey with lower level managers such as May pleading guilty and cooperating with prosecutors. The developments here are worth keeping an eye on as it is relatively rare to see the string pulled so extensively in cases of safety failures at the operating level. The role and influence of senior executives will ultimately come under scrutiny and their culpability determined not on the slogans they promulgated but on their actions. * K. Maher, “Former Mine OfficialSentenced to 21 Months,” Wall Street Journal (Jan. 17, 2013). The TMI-2 accident occurred in 1979. In 1983 the plant owner, General Public Utilities Corp. (GPU), received a report* from Adm. Hyman Rickover (the “Father of the Nuclear Navy”) recommending that GPU be permitted by the NRC to restart the undamaged TMI Unit 1 reactor. We are not concerned with the report's details or conclusions but one part caught our attention. Performance over time is the result of relationships and interactions among organizational components, in other words, the system is what's important. Decisions are where the rubber meets the road in terms of goals, priorities and resource allocation; the extant safety culture provides a context for decision-making. Safety performance is an emergent organizational property, a result of system activities, and cannot be predicted by examining individual system components. We salute Adm. Rickover for his prescient insights. * Adm. H.G. 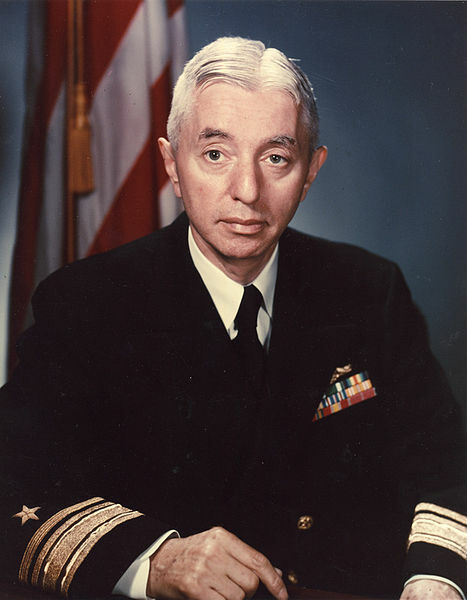 Rickover, “An Assessment of the GPU Nuclear Corporation Organization and Senior Management and Its Competence to Operate TMI-1” (Nov. 19, 1983). Available from Dickinson College library here. On March 17, July 3 and October 17, 2012 we posted on NRC safety culture (SC) related activities with individual licensees. This post highlights selected NRC actions during the fourth quarter, October through December 2012. We report on this topic to illustrate how the NRC squeezes plants on SC even if the agency is not officially regulating SC. Prior posts mentioned Browns Ferry, Fort Calhoun and Palisades as plants where the NRC was undertaking significant SC-related activities. It appears none of those plants has resolved its SC issues. An NRC-TVA public meeting was held December 5, 2012 to discuss the results of the supplemental inspections. ** Browns Ferry management made a presentation to review progress in implementing their Integrated Improvement Plan and indicated they expected to be prepared for the IP 95003 inspection (which will include a review of the plant's third party SC assessment) in the spring of 2013. NRC supplemental inspections can require licensees to assess “whether any safety culture component caused or significantly contributed to” some performance issue. NRC inspection reports note the extent and adequacy of the licensee’s assessment, often performed as part of a root cause analysis. Plants that had such requirements laid on them or had SC contributions noted in inspection reports during the fourth quarter included Braidwood, North Anna, Perry, Pilgrim, and St. Lucie. Inspection reports that concluded there were no SC contributors to root causes included Kewaunee and Millstone. Monticello got a shout-out for having a strong SC. On the other hand, the NRC fired a shot across the bow of Prairie Island when the NRC PI&R inspection report included an observation that “. . . while the safety culture was currently adequate, absent sustained long term improvement, workers may eventually lose confidence in the CAP and stop raising issues.”^^^^ In other words, CAP problems are linked to SC problems, a relationship we've been discussing for years. The NRC claims it doesn't regulate SC but isn't “assurance” part of “regulation”? If NRC practices and procedures require licensees to take actions they might not take on their own, don't the NRC's activities pass the duck test (looks like a duck, etc.) and qualify as de facto regulation? To repeat what we've said elsewhere, we don't care if SC is regulated but the agency should do it officially, through the front door, and not by sneaking in the back door. * E.F. Guthrie (NRC) to J.W. Shea (TVA), “Browns Ferry Nuclear Plant NRC Supplemental Inspection Report 05000259/2012014, 05000260/2012014, 05000296/2012014” (Nov. 23, 2012) ADAMS ML12331A180. ** E.F. Guthrie (NRC) to J.W. Shea (TVA), “Public Meeting Summary for Browns Ferry Nuclear Plant, Docket No. 50-259, 260, and 296” (Dec. 18, 2012) ADAMS ML12353A314. *** M. Hay (NRC) to L.P. Cortopassi (OPPD), “Fort Calhoun - NRC Integrated Inspection Report Number 05000285/2012004” (Oct. 2, 2012) ADAMS ML12276A456. **** T.W. Simpkin (OPPD) to NRC, “Fort Calhoun Station Integrated Performance Improvement Plan, Rev. 4” (Nov. 1, 2012) ADAMS ML12311A164. ***** NRC, “Summary of November 15, 2012, Meeting with Omaha Public Power District” (Dec. 3, 2012) ADAMS ML12338A191. ^ M. Hay (NRC) to L.P. Cortopassi (OPPD), “Fort Calhoun Station – Notification of Inspection (NRC Inspection Report 05000285/2013008 ” (Dec. 28, 2012) ADAMS ML12363A175. ^^ S. West (NRC) to A. Vitale (Entergy), “Palisades Nuclear Plant - NRC Supplemental Inspection Report 05000255/2012011; and Assessment Follow-up Letter” (Nov. 9, 2012) ADAMS ML12314A304. ^^^ O.W. Gustafson (Entergy) to NRC, Entergy slides to be presented at the December 11, 2012 public meeting (Dec. 7, 2012) ADAMS ML12342A350. NRC slides for the same meeting ADAMS ML12338A107. ^^^^ K. Riemer (NRC) to J.P. Sorensen (NSP), “Prairie Island Nuclear Generating Plant, Units 1 and 2; NRC Biennial Problem Identification and Resolution Inspection Report 05000282/2012007; 05000306/2012007” (Sept. 25, 2012) ADAMS ML12269A253. ^^^^^ A.M. Macfarlane, “Focusing On The NRC Mission: Maintaining Our Commitment to Safety” speech presented at the INPO CEO Conference (Nov. 6, 2012) ADAMS ML12311A496. This book* was suggested by a regular blog visitor. Below we provide a summary of the book followed by our assessment of how it comports with our understanding of decision making, system dynamics and safety culture. Hollnagel describes a general principle, the efficiency-thoroughness trade-off (ETTO), that he believes almost all decision makers use. 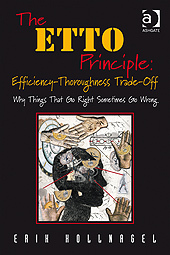 ETTO means that people and organizations routinely make choices between being efficient and being thorough. For example, if demand for production is high, thoroughness (time and other resources spent on planning and implementing an activity) is reduced until production goals are met. Alternatively, if demand for safety is high, efficiency (resources spent on production) is reduced until safety goals are met. (pp. 15, 28) Greater thoroughness is associated with increased safety. ETTO is used for many reasons, including resource limitations, the need to maintain resource reserves, and social and organizational pressure. (p. 17) In practice, people use shortcuts, heuristics and rationalizations to make their decision-making more efficient. At the individual level, there are many ETTO rules, e.g., “It will be checked later by someone else,” “It has been checked earlier by someone else,” and “It looks like a Y, so it probably is a Y.” At the organizational level, ETTO rules include negative reporting (where the absence of reporting implies that everything is OK), cost reduction imperatives (which increase efficiency at the cost of thoroughness), and double-binds (where the explicit policy is “safety first” but the implicit policy is “production takes precedence when goal conflicts arise”). The use of any of these rules can lead to a compromise of safety. (pp. 35-36, 38-39) As decision makers ETTO, individual and organizational performance varies. Most of the time, things work out all right but sometimes failures occur. Failures can happen when people, going about their work activities in a normal manner, create a series of ETTOs that ultimately result in unacceptable performance. These situations are more likely to occur the more complex and closely coupled the work system is. The best example (greatly simplified in the following) is an accident victim who arrived at an ER just before shift change on a Friday night. Doctor A examined her, ordered a head scan and X-rays and communicated with the surgery, ICU and radiology residents and her relief, Doctor B; Doctor B transferred the patient to the ICU, with care to be provided by the ICU and surgery residents; these residents and other doctors and staff provided care over the weekend. The major error was that everyone thought somebody else would read the patient's X-rays and make the correct diagnosis or, in the case of radiology doctors, did not carefully review the X-rays. On Monday, the rad tech who had taken the X-rays on Friday (and noticed an injury) asked the orthopedics resident about the patient; this resident had not heard of the case. Subsequent examination revealed that the patient had, along with her other injuries, a dislocated hip. (pp. 110-113) The book is populated with many other examples. Both Hollnagel and Sydney Dekker identify with a type of organizational analysis called Resilience Engineering, which believes complex organizations must be designed to safely adapt to environmental pressure and recover from inevitable performance excursions outside the zone of tolerance. Both authors reject the linear, deconstructionist approach of fault-finding after incidents or accidents, the search for human error or the broken part. Hollnagel is a psychologist so he starts with the individual and then extends the ETTO principle to consider group or organizational behavior, finally extending it to the complex socio-technical system. He notes that such a system interacts with, attempts to control, and adapts to its environment, ETTOing all the while. System evolution is a strength but also makes the system more intractable, i.e., less knowable, and more likely to experience unpredictable performance variations. He builds on Perrow in this area but neither is a systems guy and, quite frankly, I'm not convinced either understands how complex systems actually work. I feel ambivalence toward Hollnagel's thesis. Has he provided a new insight into decision making as practiced by real people, or has he merely updated terminology from earlier work (most notably, Herbert Simon's “satisficing”) that revealed that the “rational man” of classical economic theory really doesn't exist? At best, Hollnagel has given a name to a practice we've all seen and used and that is of some value in itself. It's clear ETTO (or something else) can lead to failures in a professional bureaucracy, such as a hospital. ETTO is probably less obvious in a nuclear operating organization where “work to the procedure” is the rule and if a work procedure is wrong, then there's an administrative procedure to correct the work procedure. Work coordination and hand-offs between departments exhibit at least nominal thoroughness. But there is still plenty of room for decision-making short cuts, e.g., biases based on individual experience, group think and, yes, culture. 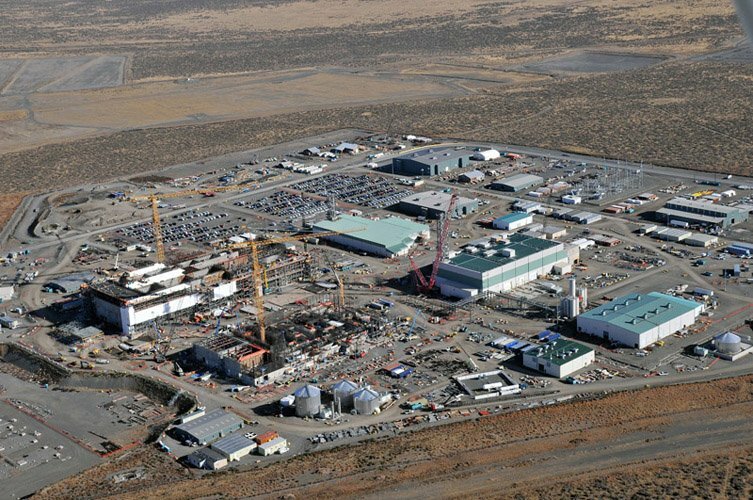 Does a strong nuclear safety culture allow or tolerate ETTO? Of course. Otherwise, work, especially managerial or professional work, would not get done. But a strong safety culture paints brighter, tighter lines around performance expectations so decision makers are more likely to be aware when their expedient approaches may be using up safety margin. Finally, Hollnagel's writing occasionally uses strained logic to “prove” specific points, the book needs a better copy editor, and my deepest suspicion is he is really a peripatetic academic trying to build a career on a relatively shallow intellectual construct. * E. Hollnagel, The ETTO Principle: Efficiency-Thoroughness Trade-Off (Burlington, VT: Ashgate, 2009). ** C. Perrow, Normal Accidents: Living with High-Risk Technologies (New York: Basic Books, 1984).